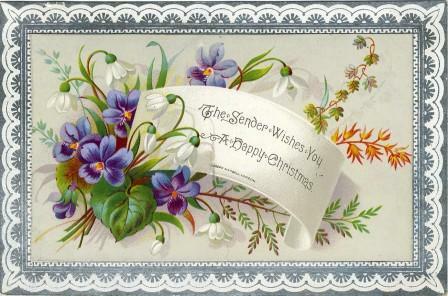 A chromolithograph christmas card on embossed pierced card printed and published by Joseph Mansell, circa 1870. Size about 11.5 x 8 cm. Signed below the greeting, Joseph Mansell, London. The firm of Joseph Mansell was well known for its manufacture of greeting cards. They also produced prints by the Baxter Process and used some of these on their cards.